[S248] Private information from Monica Horrocks. [S205] Newspaper, Manchester Times (Manchester, England), Saturday, December 12, 1885. [S232] Ancestry.com, West Yorkshire, England, Marriages and Banns, 1813-1935. Amy Gordon Bell was born on 10 May 1855 in Halifax, Nova Scotia, Canada, ZER notes that the child was christened privately at the the age of 2 days. 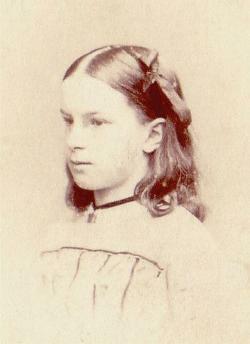 She was the daughter of Dr. William Bell and Zébée Stewart Gordon. 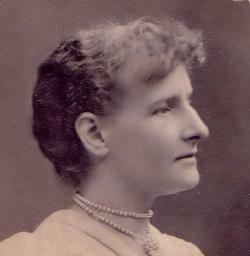 Amy Gordon Bell married Sidney Stuart Clayton, son of John Henry Clayton, on 21 April 1887 at Holy Trinity, Bedford, Bedfordshire. [S89] Family Search, Parish registers for Jedburgh, 1639-1857 Church of Scotland. Parish Church of Jedburgh (Roxburghshire). [S89] Family Search, Parish Registers, 1639-1857. Church of Scotland. Parish Church of Jedburgh (for birth of Marky Minto Bell). 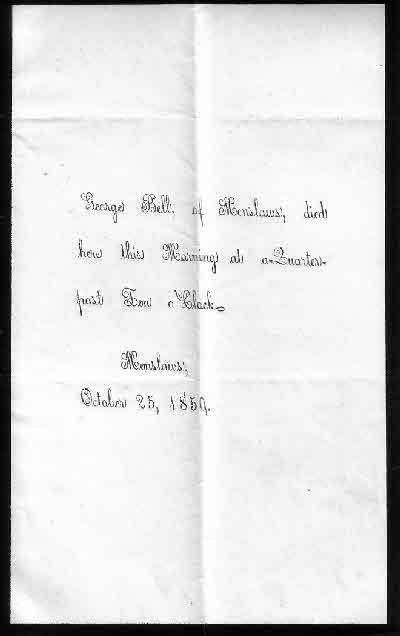 [S105] [Bell], Bell Family Papers, Note on diagram of gravestones. [S105] [Bell], Bell Family Papers, Sale particulars amongst the Bell papers. [S470] Scotland, Old Parish Registers, Southdean and Abbotrule. [S232] Ancestry.com, Ontario, Canada Marriages, 1857-1924. Hastings. 1881. Children of Dorothea Laidlaw Bell and Surgeon General William Munro C.B. [S392] Website findagrave.com (http://www.findagrave.com/) "# 104884656." [S89] Family Search, Parish registers, 1690-1854 Church of Scotland. Parish Church of Bedrule. [S89] Family Search, Parish registers, 1639-1857 Church of Scotland. Parish Church of Jedburgh. [S318] Unknown author, 1841 Scotland Census, Eccles, Berwickshire. [S89] Family Search, Melrose parish registers of baptisms, marriages, proclamations of marriages, session minutes, 1723-1741 and mortuary rolls, 1642-1820 Romanes, Charles S.
[S320] 1851 England Census, Northumberland, Branxton, District 2. [S318] Unknown author, 1841 Scotland Census. [S392] Website findagrave.com (http://www.findagrave.com/) "# 136704554." Francis Roy Marsh Bell is also recorded as Roy Bell. He died in 1980. [S205] Newspaper, Morning Bulletin (Rockhampton, Qld. ), 28 January 1949. 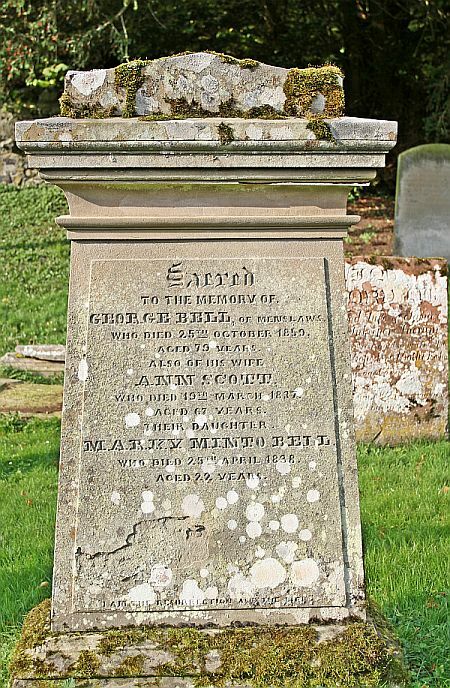 George Bell was born on 26 June 1780 in Southdean, Roxburgshire.1,2 He was the son of William Bell and Markie Minto.1 George Bell married Ann Scott, daughter of Thomas Scott and Ann Scott.3 George Bellappeared in the 1841 census at Bedrule, Roxburghshire, as proprietor of Menslaws.4 He appears on the census of 30 March 1851 at Menslaws, Bedrule, Roxburgshire, "George Bell Esqr. Landed proprietor farming 200 acres arable (employing 5 men & 7 women)" listed together with his unmarried daughter Ann Bell and a niece, Dorothea L. Bell aged 18. 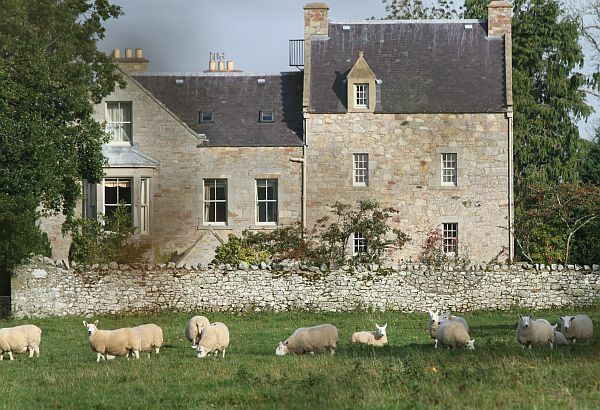 The census shows two further houses at Menslaws which are occupied by the land stewart, Mark Turnbull and his family which consist of his wife and six children aged between 1 and 14 years of age. James Buchan, an agricultural labourer, his wife and grand daughter live in the second house which is recorded as Menslaws Hind's House. [S91] Www.scotlandspeople.gov.uk, Parish Records Index (1553-1854), OPR index. [S205] Newspaper, The Scotsman, 18th October 1860. 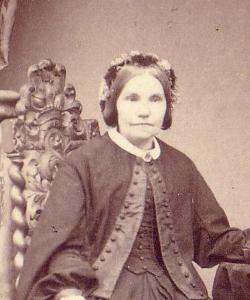 Helen Symonds Dobree Bell was also known in the family as Aunt Nell. She was born on 6 September 1856 in 6 Sussex Place, Southsea. She was the daughter of Dr. William Bell and Zébée Stewart Gordon. Helen Symonds Dobree Bell was baptised on 7 November 1856 at St. Judes Church, Southsea, by the Rev. J. Brownrigge. 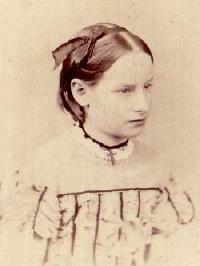 She was confirmed on 20 November 1874 at St. Pauls, Bedford, by Bishop Woodford the Bishop of Ely. Circa 1945 Helen Symonds Dobree Bell was living at 43 Sea Road, Boscombe, Bournemouth. She died on 27 May 1947 probably in Bournemouth at the age of 90. [S205] Newspaper, Southern Reporter, 1 July 1880. [S89] Family Search, Church records, 1737-1839 Jedburgh Associate Congregation (Scotland : Nonconformist). [S232] Ancestry.com, London Metropolitan Archives, Holy Trinity Marylebone Road, Register of Baptism, p89/tri, Item 027. [S470] Scotland, Old Parish Registers, 782/ 0040 0060. 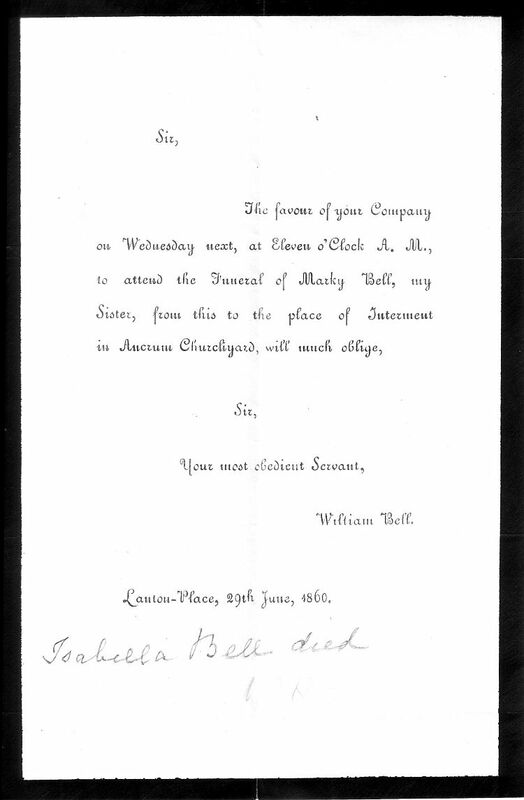 [S105] [Bell], Bell Family Papers, a note amongst the Bell papers. [S487] Herbert George Todd, Armory and Lineages of Canada, p. 46. [S319] 1851 Scotland Census, Jedburgh, Roxburghshire. [S318] Unknown author, 1841 Scotland Census, Jedburgh, Roxburghshire.